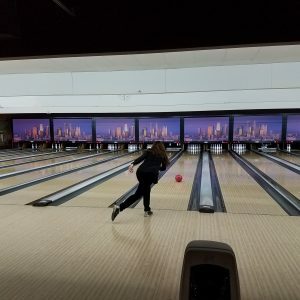 Excel Hits the Lanes To Support Junior Achievement | Excel Construction Services, Inc.
On Thursday April 6th, the Jones Lang LaSalle team held an afternoon of bowling, prizes, lunch and giving back to the local Junior Achievement students at their annual JLL Play4JA Bowling Event. 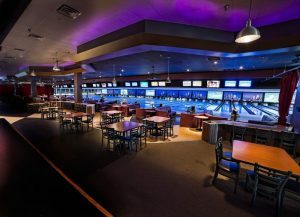 The event was held at Concourse Bowling Center in Anaheim, CA. Junior Achievement’s mission is to “Inspire and prepare young people to succeed in a global economy,” through a community partnership of educators, volunteers, philanthropy and businesses. JLL and other vendors for the annual Play4JA Bowling Event volunteered to raise money for the So Cal Junior Achievement students. Last year, contributor’s partnership and their generosity helped to raise over $13,000 for JASoCalto directly impact the lives of the community’s students! The goal this year was to raise $10,000! Donations were strictly voluntary and were made to directly support JASoCal. Also, this year, donors selected the area of support they wanted their funds to be allocated (Los Angeles, Orange County or Bakersfield) and JLL employees could find information on submitting their corporate gift matching via the donation website as well. Excel Construction was a sponsor of the event.Participating this year was Kecia Ellsworth, Senior Account Manager, Chris Mott, Chief of Staff, and Karen Ratzlaff, CEO.